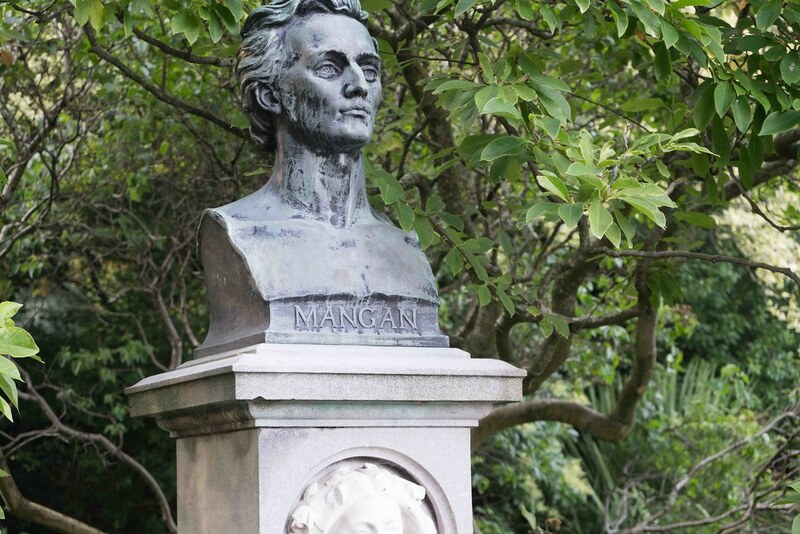 James Clarence Mangan, born James Mangan (1 May 1803, Dublin – 20 June 1849), was an Irish poet. Mangan was the son of a former hedge school teacher who took over a grocery business and eventually became bankrupt. Born in Dublin, he was educated at a Jesuit school where he learned the rudiments of Latin, Spanish, French, and Italian. He attended three different schools until the age of fifteen. Obliged to find a job in order to support his family, he became a lawyer's clerk, and was later an employee of the Ordnance Survey and an assistant in the Library of Trinity College, Dublin. 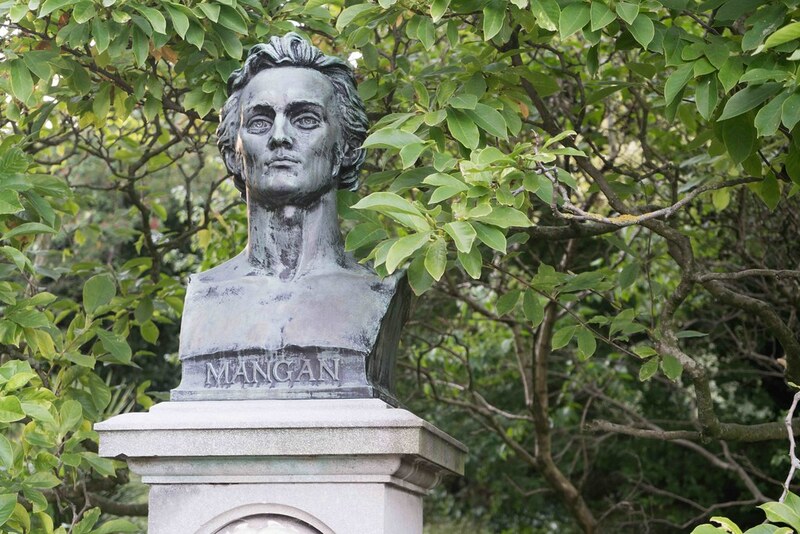 Mangan was a lonely and often difficult man who suffered from mood swings, depression and irrational fears, and became a heavy drinker and opium user. His appearance grew eccentric, and he often wore a long cloak, green spectacles and a blond wig. In 1849, weakened by poverty, alcoholism and malnutrition, he succumbed to cholera aged only 46. He was buried in Glasnevin Cemetery. James Joyce wrote two essays on Mangan, and also used his name in his works, for instance in Araby in Dubliners. Joyce wrote that in Mangan's poetry "images interweave [their] soft, luminous scarves and words ring like brilliant mail, and whether the song is of Ireland or of Istambol it has the same refrain, a prayer that peace may come again to her who has lost peace, the moonwhite pearl of his soul". WB Yeats considered Mangan one of the best Irish poets, along with Thomas Davis and Samuel Ferguson, claiming, "To the soul of Clarence Mangan was tied the burning ribbon of Genius." 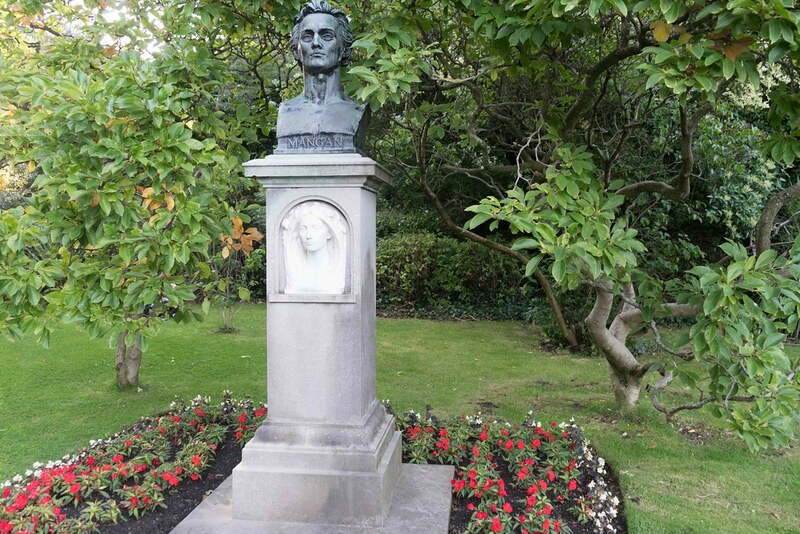 His most famous poems include Dark Rosaleen, Siberia, Nameless One, A Vision of Connaught in the Thirteenth Century, The Funerals, To the Ruins of Donegal Castle, Pleasant Prospects for the Land-eaters and Woman of Three Cows. He also wrote a brief autobiography on the advice of his friend Charles Patrick Meehan, which ends mid-sentence. He must have been writing in the last months of his life, since he mentions his narrative poem of the Italian Gasparo Bandollo, which was published in the Dublin University Magazine in May 1849. A sensationally discovered continuation of this autobiography appeared in the Dublin journal Metre in 2001, but was later revealed to be a fake. Among the contemporary Irish writers he has influenced are Thomas Kinsella, Michael Smith, James McCabe (author of the hoax autobiography) and David Wheatley, author of a sonnet sequence on Mangan. He is also cited by songwriter Shane MacGowan as an inspiration for both his work and his lifestyle. A 1979 novel by Northern Irish/Canadian novelist Brian Moore, The Mangan Inheritance, tells the story of (fictional) young American James Mangan traveling to Ireland to find whether he is descended from the poet. Private papers of Mangan are held in the National Library of Ireland, the Royal Irish Academy, and the archives of Trinity College, Dublin.